This session discusses the topic of data science, the role of the data scientist, and the importance of managed data to business outcomes. A history of data science evolution, prior roles and uses, is included. How businesses can use analytics and data science to identify opportunities and unseen risks will be discussed, including representative examples. Gary began his professional career as a mathematician, then pursued and obtained a computer science degree. He has written hundreds of thousands of lines of code in many programming language, for scores of applications! He has experience as an Oracle DBA, and was the first president of the Oracle Users’ Group in Phoenix. 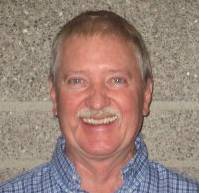 Some of Gary’s applications focused on program analysis and pricing optimization, so his analytics background is wound firmly throughout his career. Currently Gary is SRP’s data scientist working to grow and support SRP’s internal analytics community and to leverage analytics for improved business decisions. Gary’s education includes Colorado School of Mines, Stanford University, UC Santa Barbara, and the ever popular School of Hard Knocks.